The style trends in UAE for women are known to be bold and attractive. 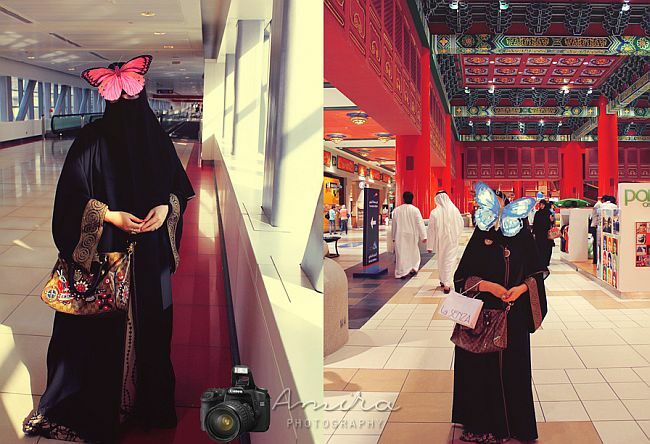 Women living in UAE are well known for their unique fashion taste. Let us look at how their dressing and carrying sense makes all the difference and read ahead to know more about the style trends in UAE for women. If you are an expat in UAE or planning to move there soon then you should know in and out about the UAE fashion. Women living in UAE have several advantages when it comes to fashion. To start with, there is not much difference in summer and winter wear in UAE. Its main reason is that all the indoor entertainment and leisure places are fully air conditioned. During winters, along with their usual dress, women take over hoodies or sweaters to get rid of the cold. In addition to that, since UAE consist of expats from so many countries that you will also come across a lot of traditional wear. Majority of the women in UAE wear abaya so what they wear underneath is not really a big issue. Also, you won’t face any sort of criticism about your dress unless it is something offensive in the Muslim culture. One more good part about fashion in UAE is that nothing becomes so outdated that one can’t wear it on a casual day. The style trends in UAE for women when it comes to abaya. Abaya in UAE are particularly very fancy, decorated with shiny and expensive stones and colourful embroidery all over the abaya. This is because abaya in UAE are usually worn as an alternative to dresses since many Arab women wear them to parties and for occasions. The most common cloth materials used in abaya is either ‘intarnet’ or shiny silk. Moreover, unlike the original abaya which are worn loosely, abaya worn by Emiratis are fitted. In clothing, other style trends in UAE for women are, long skirts, which will be long enough to touch the ground. Arabian maxis or gowns are famous among the locals of UAE for parties and weddings. Other than that, jeans and t-shirt are the favourite for the teenagers and the youngsters. You may not see a lot of women wearing maxis outside, but it is usually worn in parties and for occasions where only females are gathered. Arabian maxis are quite vibrant and colourful. There are shops dedicated to only maxis and they come in various materials like cotton, silk and net. Women who only take scarf, also known as ‘shela’ over their head, it is always in matching colour with the dress. There are fancy sheilas and plain sheilas and ones with beautiful motifs on them. Whatever is taken over the head is always in matching colour with the dress. The shoe style trends in UAE for women are high heeled shoes, stilettos, pencil heels or high boots. Any footwear that makes a loud and clear thud sound is preferred by women living in UAE. Coming to accessories, it is a must wear for Emiratis. Goggles, thick and huge bangles, dangling bracelets, big rings along with bright and vibrant colour handbags are the in thing among the women of UAE. As a non-Muslim, one must need to take care of their dressing sense when in UAE. Short dresses, like mini skirt, tank tops, and any sort of too much skin exposing garment is disliked by the locals of UAE. So, all in all, if you would like to look like you belong to UAE then just follow these style trends in UAE for women and it’s a guarantee that no one will be able to judge your nationality.